Magic elixir for plants! The benefits of seaweed in your garden. Seaweed has a long history of use by humans, around the world in coastal areas, as food and to help promote crop production. Seaweed is a great fertilizer, soil amendment and compost activator. Celtic and Norse farmers put it on their fields for centuries. Seaweed contains several useful plant nutrients, including nitrogen, potassium, phosphate and magnesium. The best seaweed come from the ocean and contains all the nutrients found in seawater plus many trace minerals. Seaweed contains several important plant growth stimulator. 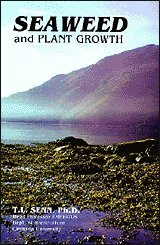 In his book, Fertile Soil: A Growers Guide to Organic & Inorganic Fertilizers, Robert Parnes explains “Perhaps the most important merit of seaweed is its content of assimilable organic materials, in particular the growth hormones.” Also because of the alginates in seaweed it act as soil conditioners. The alginates react with metals in the soil forming long and cross-linked polymers. These polymers improve the crumbing of the soil, they swell up when they get wet, and retain moisture for a long period. 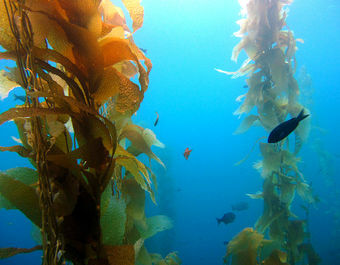 When gardeners talk about using seaweed on their plants, they are usually referring to brown algae what some call kelp. It is plentiful along the coast of Norway. It also grows along the American coast from northern Maine to Canada. If you have access to fresh seaweed, it is a useful substitute for manure, and does not need to be composted before using in the garden. It is best dug in fresh before it has had time to dry or get slimy and smelly decomposing on the surface. Seaweed is salty, but not in amounts that damage crops or soil. Seaweed also come in a extract form either dried or liquidized available from garden centers. You only need to add water to use it. Seaweed is also a common additive to fertilizers, both organic and non-organic. The seaweed industry started in Norway, where seaweed is in abundant supply, with its perfect growing environment. 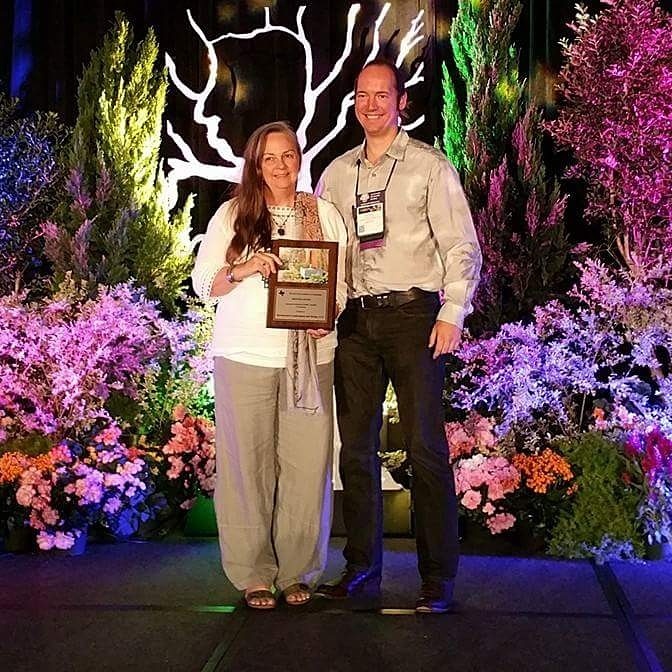 It is great for us working to keep our gardens organic. Seaweed comes from an organic, non-pollutant, renewable resource. 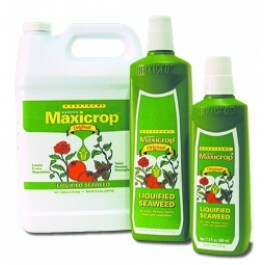 Maxicrop is a product that’s been around longest, over 40 years. It is sold as a concentrated dry powder that you mix with water and apply to plants as a spray. It is also available as a liquid concentrate, as are most other seaweeds. Not all products are made the same and it is important to read the labels. We have tried others but seem to have the best result with Maxicrop. Seaweed fertilizers as a foliar spray applied directly on the leaves seems to work the best. Seaweed fertilizer also increases the plants cold hardiness and helps with heat stress by strengthening a plants natural immune system. We use it before freezes and throughout the summer. A healthier plant is less prone to insect and disease problems. It is said to help with powdery mildew, spider mites and Blackspot when used as a foliar spray. It is also a root stimulator because of the hormones and nutrient it has. A bigger, healthier root system makes a plant more frost and drought tolerant. It is natural and safe to use on your vegetable gardens and fruit trees. It also helps reduce transplant shock. You can soak the root ball of a plant in a seaweed solution before planting. Once planted go back and spray the leaves. I find it helpful to come back a weekly for at least a few weeks and spray again helping the plant get rooted in. In the book Seaweed and Plants Growth Dr. T. L. Seen, of Clemson Universities Dept. 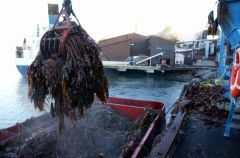 of Horticulture explains the powers of seaweed as a fertilizer and root stimulator and how foliar feeding can be used to supplement a fertilization program. Dr. Seen is one of the leading seaweed researchers in the world. Recommended uses from the Maxicrop website. Soaking Seeds and Bulbs – soak overnight in solution of one capful to one gallon of water. After planting, water with solution of one capful to one gallon of water. Seedlings – Water with solution of one capful to one gallon of water each week. Cuttings and Rootings – Stand in heavy solution overnight using two capfuls to one gallon of water. Water with solution of one capful to one gallon of water. Vegetables, Fruits, Outdoor Plants, Flowers and Potted Plants—Water with solution of one capful to one gallon of water every week. Lawn -Spray solution of two capfuls to one gallon of water (to cover 1,000 ft.) per month (minimum five applications per season). Indoor Plants – Water with solution of one capful to one gallon of water every week. I learned about the wonderful benefits of seaweed extract from a good friend and fellow gardener years ago. It really changed what I could grow in our difficult Houston climate. I know it got many of my water loving plants through the long drought. 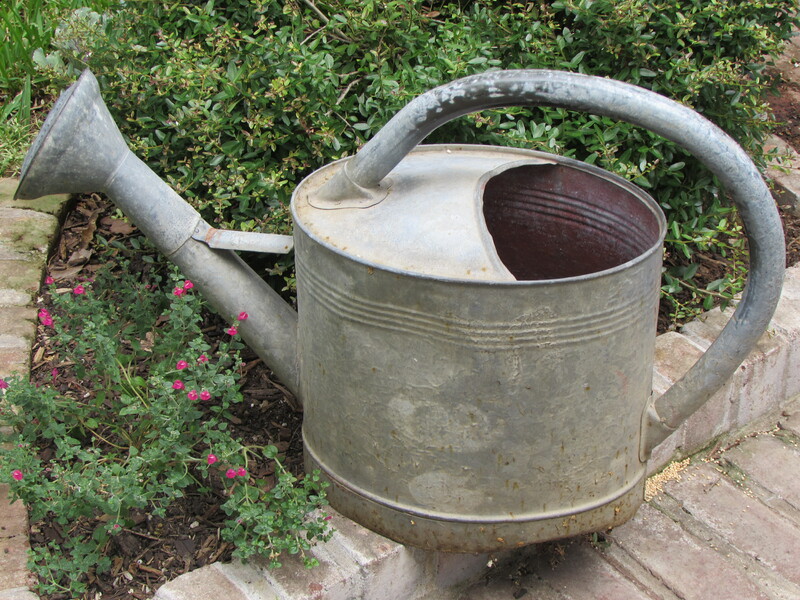 I mix it up in my big galvanized watering can. Professionally we use a back pack sprayer and spray it on all our plant we install. We recommend it to our clients. I have found Maxicrop here in Houston at Wabash Feed Store and Hydro Shack. This brings back fond memories of gathering seaweed that would wash ashore after storms in Alaska when I gardened there. We used it as mulch in our gardens and didn’t so much mind the smell. 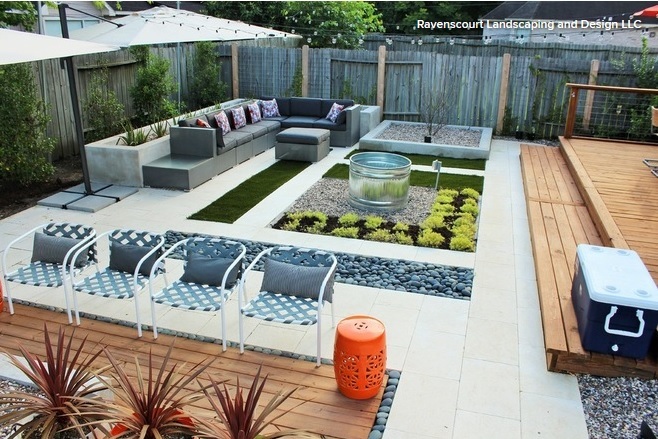 In the long summer days, plants grew very rapidly to cover it. I’ll look for Maxicrop! Everyone on the west coast used to gather kelp for their gardens. Like Peter, I remember it was a routine thing to do. I have spider mites attacking on of my native potato vines. I have been looking for solutions. Maybe I should try this. Thx, Laurin! A really useful post. Thank you. I’ m going to buy some Maxicrop tomorrow. I love your watering can! Mine is a cheapo imitation with a handle that is hard to use! 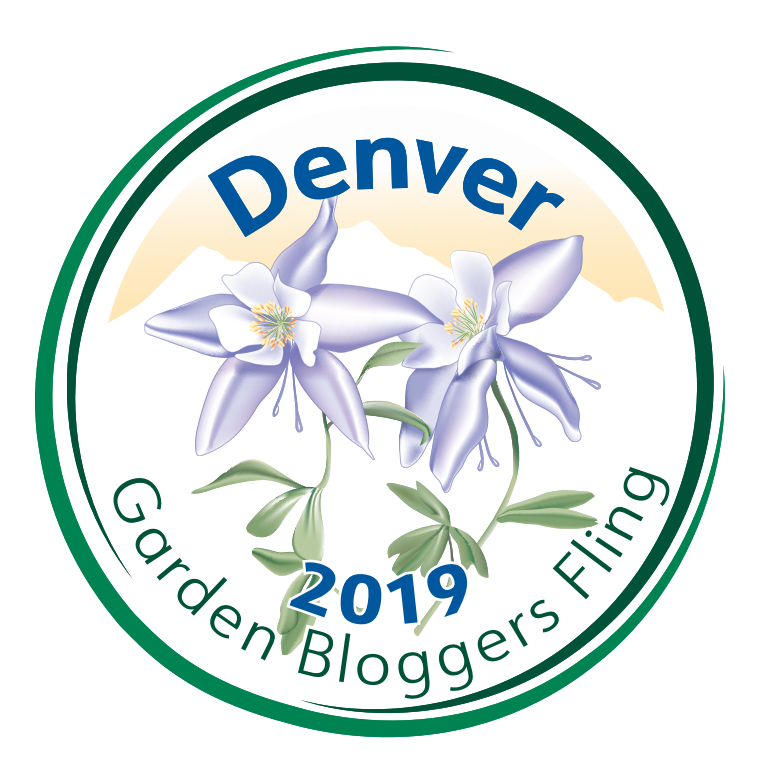 Thank you for the rich variety of information within your blog! I am eager to find the Maxicrop, too! Thanks Ann, I do love old tools and galvanized buckets etc.